Pastor Mark and his family joined the Ardella family in May 2016. His wife Kim is the CFO for Florida Baptist Children's Homes. Together they have 2 children, a son Christian and a daughter Shelby. Both are currently attending collage. Pastor Mark surrendered to ministry in 1993 and began serving in student ministry in Texas, Mississippi, and Florida. He completed his Masters degree and Doctorate degree at the New Orleans Baptist Theological Seminary. 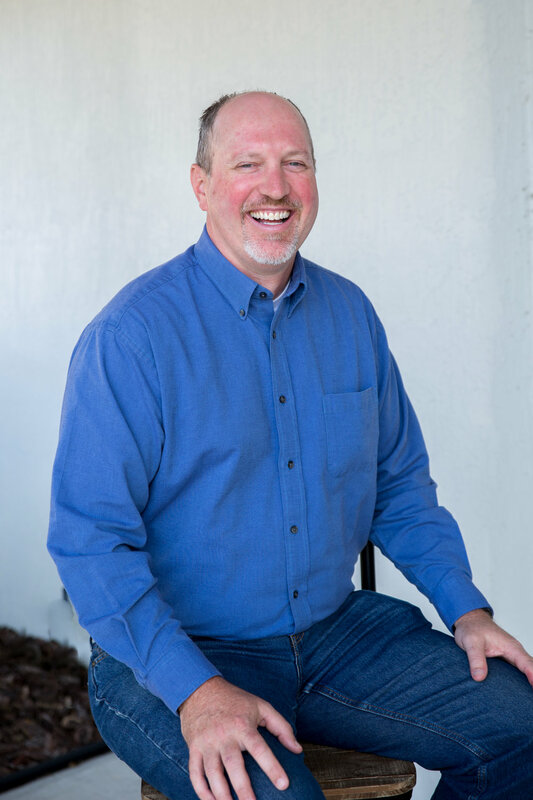 Prior to coming to Ardella Baptist Church, Pastor Mark served as Discipleship Pastor, Missions Pastor, Campus Pastor, and was the interim National Director for Faith Riders Motorcycle Ministry. This is his FIRST Senior Pastor position and he is loving every minute of it. Pastor Mark loves golfing, riding his Harley, spending time with his family, church family, and dog Max. You can meet him and his wife Kim when you visit Ardella Baptist Church. They both serve as greeters at the front door. Pastor Max and his wife Heidi joined the Ardella family in February 2017. Their son Chad and his wife Tiffany are missionaries to Nicaragua and Guatemala with Hope Project International and their daughter Kayla and her husband Jeremy have been Student Ministry leaders for several years in the Lakeland area. Their other daughter Katie lives in West Virginia. Max and Heidi have eight grandchildren. Pastor Max surrendered to God's call to ministry in 2004 and left the business world to begin serving in discipleship and education ministry in Florida and Georgia. Prior to coming to Ardella Baptist Church, Pastor Max served as Assimilation and Discipleship Pastor, Education Pastor, and Inner City Missions Leader. Pastor Max loves reading, spending time with his family, vacations in the mountains with Heidi, and church family. Linda Ventura joined Ardella family June 2016. Her husband Mark serves as an usher and security team, men's ministry. Linda and Mark both feel called to serve with children. Together they have 3 children 2 daughters Brieann and Paige and a son Marc. They have 2 children in love Kevin and Silva. 4 grandchildren Isabella, Mark, Alistair, Dominic. Linda is currently serving as the Children’s Director. She loves that she gets to work with and love on the Ardella children. She has served with children for 20 years as a GA Director, nursery worker, Sunday school teacher from nursery thru Youth, Nursery Coordinator and an Awana Commander. Her heart is to reach and minister to as many children and families for his kingdom. She completed her degree in Administration at Taylor Business Institute and attended Bergan Community College. Linda loves most spending time and with her family, especially her grandchildren, cooking and hosting meals with friends and church family, and taking rides on their Harley. Pastor Mark and Tracie joined the Ardella family in March 2018. They have 3 children, a son Zachary (recently married) and two daughters, Mallory and Sydney. Their oldest two have finished college and are serving the Lord in different ministries. Sydney is attending Southeastern University and majoring in nursing. Pastor Mark has served in student/family ministry in Pennsylvania, Michigan and New York over the past 25 years. His greatest passion is seeing God change lives, especially in the lives of students. Pastor Mark loves spending time with family, playing board games and enjoys sports. He has coached basketball in both Christian and public schools. Are you looking for a place to serve with like minded people and have a desire to share the love of Christ. Then this is the place for you! Below you will find a short description of these areas of opportunity with the First Impressions Team. At the end of this page you will have an opportunity to let us know about your interest and or decision. Welcomes guests and members on Sunday mornings and special events. Always visible from the parking lot, greets everyone, opens doors, and assists people with special needs. Greets guests and members at the counter, provides information, answers questions, and provides direction to Bible studies, Worship Service or other activities. Assists in giving the first impression of our church to guests and members. Safely and courteously drives the shuttle from the parking lots to the facilities on Sunday mornings and special events. Drivers must have a valid driver’s license. Gives the first impression of our church to most guests and members. Safely and courteously directs traffic to and from parking areas. Assists older adults and the handicapped to special parking spaces. Communicates with Shuttle Drivers on the need for their services. Places traffic cones, special parking signs, etc. each Sunday morning and for special events when needed. Strives to keep our church family and guests safe at all times. Our goal is to have adequate Safety & Security personnel at all church functions. This team is made up of highly trained and qualified individuals. The Coffee Shop prepares and serves beverages and snacks on Sunday mornings and special events. Provides medical care and assistance to anyone in need on Sunday mornings and special events. This team is made up of highly trained and qualified individuals in the medical response field.